You don’t need special powers to learn how to cover a school book. Unlike stick on covers, book covers from EZ Covers take only seconds to slip on. All you have to do is follow these four easy steps – its so simple even your kids can do it! Watch the video below to see how EZ our covers are to put onto your exercise books. 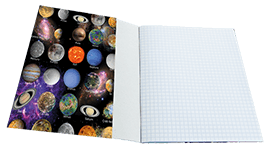 A book cover from EZ Covers is like a jacket for your child’s exercise book. If you pick the right size, it should fit snugly and protect the exercise book from unwanted tears. Our covers provide a perfect fit; no bubbles or creases. Not only does it shield your child’s exercise books, it also gives them a little bit of colour and fun. Don't forget that with stick on book-covers it can take most of the night to cover one child's books. With EZ Covers your children can even cover their own. Stick on covers can end up looking like a mess if attached incorrectly, and because the sheets are glued to the exercise book cover with adhesive, they are more prone to unbound edges and further damage. There are no re-dos with an adhesive stick-on cover. EZ Covers make it super EZ to cover a school book. 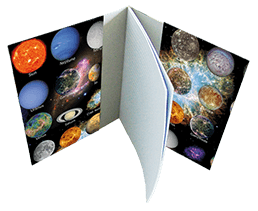 Order EZ Covers for your kids’ school books today!